web pages for hot air balloon rides ! Hot air balloon rides Boise, Idaho, hot air balloon rides Emmett, Idaho, hot air balloon rides Payette, Idaho, hot air balloon rides Weiser, Idaho, hot air balloon rides Ontario, Oregon, hot air balloon rides Caldwell, Idaho, hot air balloon rides Nampa, Idaho, hot air balloon rides meridian, Idaho, hot air balloon rides Kuna, Idaho, hot air balloon rides Marsing, Idaho. 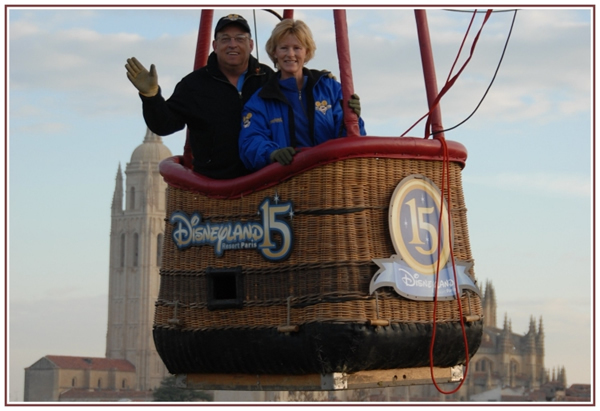 Scott and Laurie Spencer are best known for piloting Disney’s world famous “Happiest Balloon on Earth” (Mickey Mouse) and the official “Coca-Cola” hot air balloon fleet along with Boise favorites “Tic Toc” presented by St Luke’s and “Speedy” Special Shaped balloons. While our balloon rides are offered on a very limited basis here in southwest Idaho, we do enjoy sharing our sport and providing them to our customers. Hot air balloon flights are not Scott & Laurie’s primary business. But, when their schedule allows, they regularly book a very limited number of special balloon rides with the general public. Your morning with the Spencer’s will be exciting, informative and quite literally, “high” adventure. We want you to walk away feeling like you’ve had a bucket list quality morning that included making new friends. We won’t always be able to take your flight booking and for that, we apologize. We are however very grateful that you called us and gave us the opportunity to serve you. We’ll always try and help place you if we can’t operate your flight ourselves. 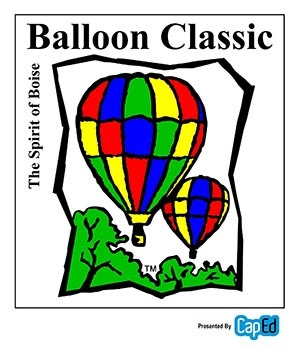 If you would like to do something that very few people ever have an opportunity to do, you need to consider reserving space at the Spirit of Boise-Balloon Classic, V.I.P. Day launch, this coming Labor Day Weekend. If you’d like to have the beautiful backdrop of the downtown Boise skyline and mountains as your window to the world just once then you need to book your space right away. The cost is exactly the same as a weekend flight with Scott & Laurie, $250 per person and you become not just a passenger, but a “Patron” (sponsor) of the Balloon Classic at the same time; availability is always exceptionally limited so book now. At Spencer Air, a Lighter Than Air America, Incorporated of Boise, Idaho company, we are pleased to book, reserve, sell and operate hot air balloon rides. You do not have to travel to Boise to have your balloon ride. You can schedule a hot air balloon ride in Boise, Idaho. You can schedule a hot air balloon flight in Meridian, Idaho. You can schedule a hot air balloon ride in Kuna, Idaho. We schedule hot air balloon rides in Caldwell, Idaho. We schedule hot air balloon rides in Nampa, Idaho. We will schedule a hot air balloon flight in Marsing Idaho too. Hot air balloon flights in Emmett, Idaho, hot air balloon flights in Weiser, Idaho and hot air balloon flights in Payette, Idaho are within our operational area. We will also schedule a hot air balloon flight in Ontario, Oregon. Enjoy your balloon flight with Spencer Air. Don’t forget your Spencer Air Christmas Gift Certificates. and may not be reproduced or used without written permission. Tony the Tiger is a registered trademark of the Kellogg Company. trademarks of the Walt Disney Company. without the express written permission of Scott Spencer.